Lately, it seems like nutritionists, fitness gurus, and virtually all our favorite celebs are sipping their health and beauty—and advising us mortals to do so as well. Greens, bee pollen, charcoal, aloe vera, cayenne—basically everything but the kitchen sink can be found in the most buzzworthy and drinkable beauty elixirs these days. So when we noticed that apple cider vinegar (yep, the same stuff you put in your salad dressing and maybe even on your hair) was gaining some serious street cred, we decided to do a little digging to find out the many apple cider vinegar benefits. Intrigued by this buzzy health tonic, (Megan Fox, Miranda Kerr, and Gwyneth Paltrow, are just a few celebrities in support of apple cider vinegar) we scoured the internet for studies that actually back up the health benefits of apple cider vinegar. And, lo and behold, we found it not only soothes sore throats, but it can also combat bad breath. For more apple cider vinegar benefits, keep on reading. Even though we try to get enough sleep, manage stress, and avoid excessive amounts of sugar and caffeine, we aren’t perfect (hi, Monday morning). So when we haven’t been great about logging enough z’s and are guilty of consuming one too many scoops of ice cream, inflammation can become a problem, leading to digestive issues, aches and pains, tiredness, breakouts—basically everything we try to avoid in life. ACV, which undergoes a fermentation process, is chock-full of healthy bacteria and enzymes that your system loves. Consuming the stuff (we recommend mixing two tablespoons with eight ounces of warm water and a touch of raw honey or lemon) helps normalize your body’s pH levels—thus alkalizing and cleansing your system. Shown to improve insulin sensitivity, ACV can delay and may even prevent the development of type 2 diabetes. By slowing the blood sugar’s response to carbs and other types of sugars consumed during mealtime, ACV (which has an anti-glycemic effect) may help prevent or at least control that inevitable midafternoon crash that has you reaching for anything and everything in the office kitchen. Food poisoning, constipation, bloating, gas—our stomachs can be the source of a whole lot of ugly. Thankfully, the beneficial bacteria in ACV (are you noticing a trend here?) can help break down food more efficiently, thus aiding digestion and decreasing the likelihood of various tummy woes. Germs hate acidic situations. 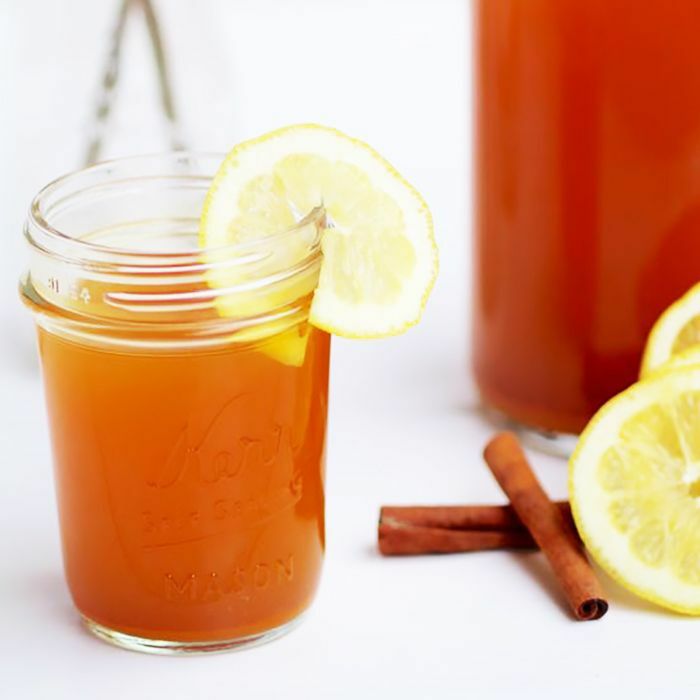 Therefore, gargling and sipping an ACV-laden tonic should help create an environment in your throat that discourages cold-causing germs and viruses from setting up shop and inducing that dreaded “I’m getting sick” feeling. This is especially crucial in those first few hours (you know the ones we’re talking about) when you feel like you’re coming down with something. By now you may or may not have heard of kombucha and its touted energy-improving benefits (due to the drink’s fermentation process). A less sugary option, ACV is no different, as it undergoes the same kind of fermentation process, resulting in potassium and enzymes that may help boost your perk. Applying the stuff to an oily complexion can act as an astringent and lead to a more even complexion, but drinking ACV (and all of its wonderful antioxidants) can also decrease the rate at which your skin and overall appearance ages over time. The antioxidants, in addition to a high concentration of beta-carotene, calcium, and potassium, are said to protect cells and therefore prevent damage and promote turnover. Now that you know the many benefits of apple cider vinegar, make your very own beauty elixir at home by shopping our favorite apple cider vinegar below. 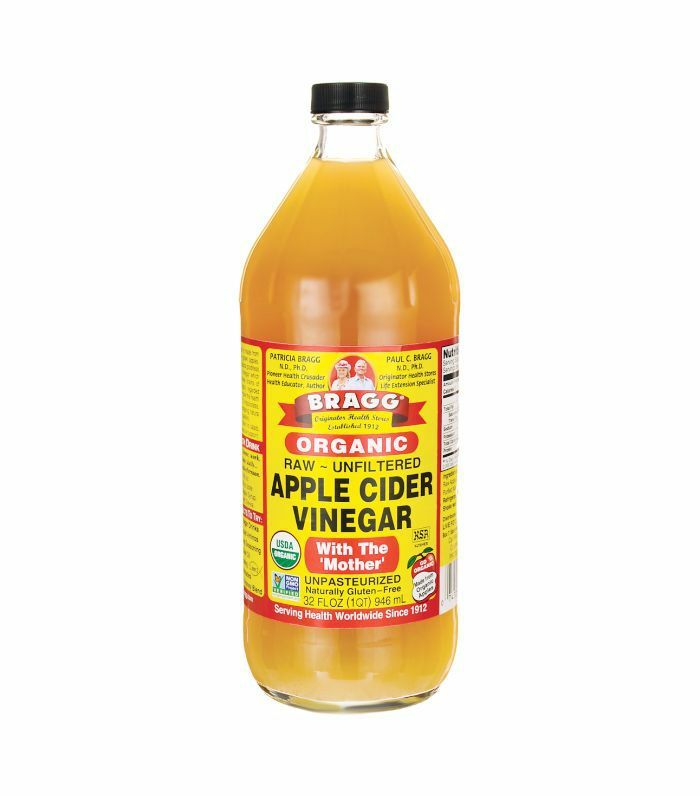 Raw, unfiltered, and organic, it doesn’t get better than Bragg’s ACV. Don’t want to make your own ACV tonic? You don’t have to. 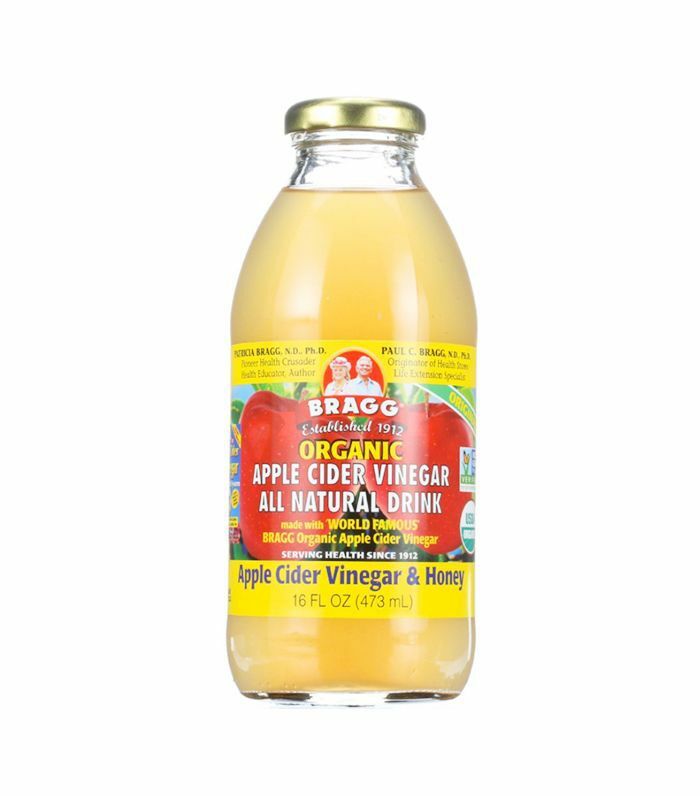 Thanks to Bragg, you can now buy ACV already diluted and mixed with honey. For more ACV benefits, click here to find out 12 ways to use it in your everyday routine. This story was originally published on July 22, 2015.